Exquisite Bridal Tiaras - CAROLINE is a Silver Fairytale Crown decorated with Silver Pearls and AB Crystals. 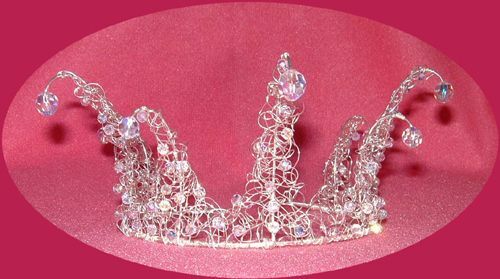 Caroline Crown Tiara is a Silver Fairytale Crown decorated with Silver Pearls and AB Crystals. Height 7cm. (See GRACE CROWN in Decorated Gold Tiaras for a Gold variation).